I love sewing, so much so that I do it for a living – and am lucky enough to be able to – making beautiful bespoke curtains, blinds and soft furnishings for the good people of North Norfolk, England. 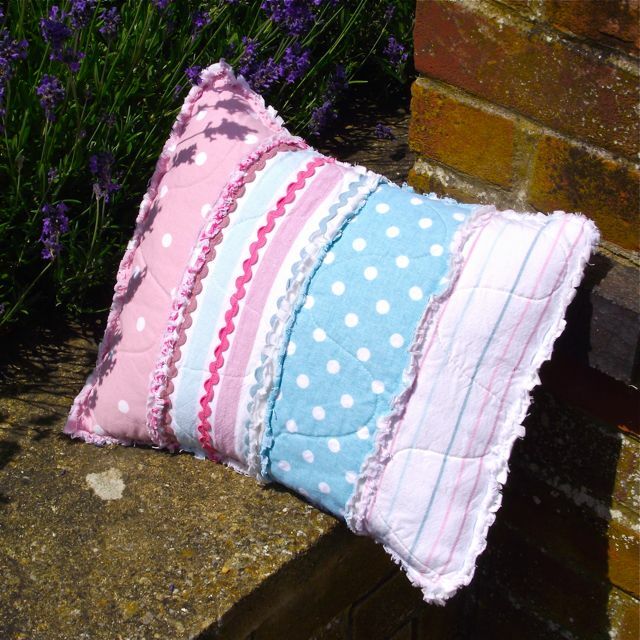 But I also love to sew for myself in my spare time – I know, sad aren’t I, and with a friend I have built up Old Friendship Crafts, producers and makers of country-inspired gifts and homewares, over the past five years. We exhibit at craft fairs in the Norfolk/Suffolk area and enjoy looking at what others have produced as well as selling a bit ourselves. I also use the internet and have shops on Folksy, Etsy and WowThankYou, although this is time consuming and I don’t always keep them as updated as I should! Anyway, I digress. At a recent craft fair at the beautiful Blackthorpe Barns near Bury St Edmunds, Suffolk (we are also exhibiting there again on 10/11th December 2011 if you are passing!) 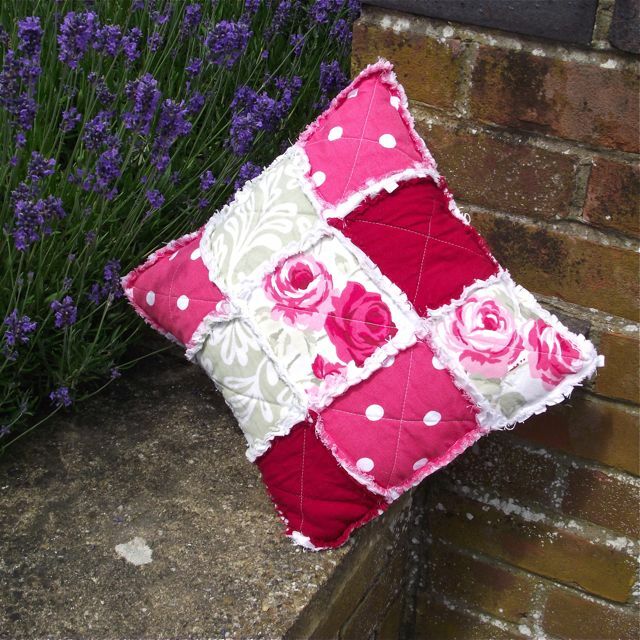 I was asked by a customer how much it would cost to produce a bespoke rag quilted bedspread for a single bed. I was unable to answer straight away as I have no idea – the only rag quilts I have produced so far are of bathroom mat proportions, but I know how much time it took and how much the materials cost so I thought it would be a useful exercise to work it out as other customers might be interested and the customer in question may wish to proceed with a commission. After the craft fair, I came home and fired up the computer to do a bit of research. 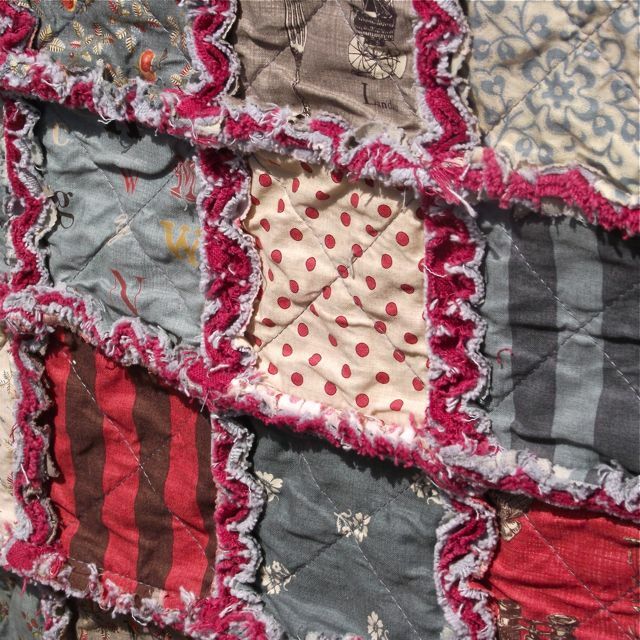 I first looked at patchwork quilts available to purchase on the internet – not of the rag quilting variety as there don’t seem to be any, but your average patchwork quilt. 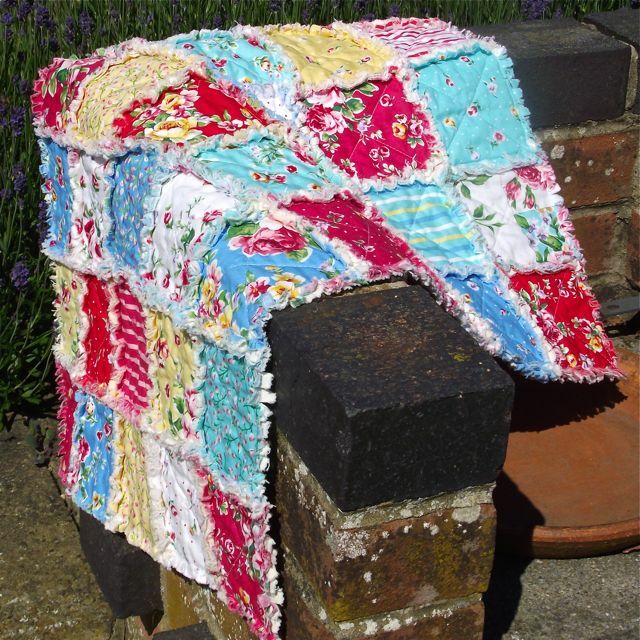 I was horrified to find that on one website (where the items were purported to be “handmade”) you could purchase a Kingsize patchwork quilt for less than £150. Now you might be thinking “Thats’s good, isn’t it – great value for money” but this seems like a ludicrously small amount of money for the time it must have taken someone (probably in this instance a small child from a third world country) to make it. I got so downhearted as it didn’t seem to matter how I did the maths, my quote for a single quilt was coming it at nearly £600. This was based on materials of over £300 and the rest was labour. Admittedly I am unable to purchase my fabric at cost price, but how many people who make and sell beautiful items have access to materials at cost – very few I would imagine. The labour charges may sound excessive but this particular quote was based on having to sew extremely quickly in order to make any profit at all! Yes, the item would be absolutely beautiful and yes, it would be an heirloom that could be passed down through the next generations but in this climate is anyone seriously going to pay £600 for a quilt? I would be very interested to hear what other makers of beautiful items think, so please feel free to comment.